Expect tough talks with auto companies. UAW President Gary Jones will be looking to get feedback from union locals across the country. 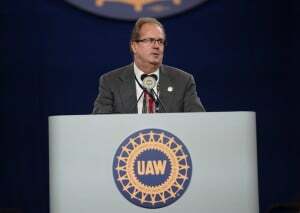 The United Auto Workers heads into its bargaining convention this week against tumultuous backdrop that includes suddent plant closing, a grinding federal investigation of the union’s handling of training funds and grumbling among union members, who have made it plain this winter the expect some gains when the UAW goes to the bargaining table this summer with Detroit’s three automakers. The resolutions adpted during the meeting will be broad so as not to encumber union bargainers in future negotiations but specific enough to shape the tenor of upcoming talks not only in the auto industry but also other sectors where the union has members. Event moves site one step closer to closure. 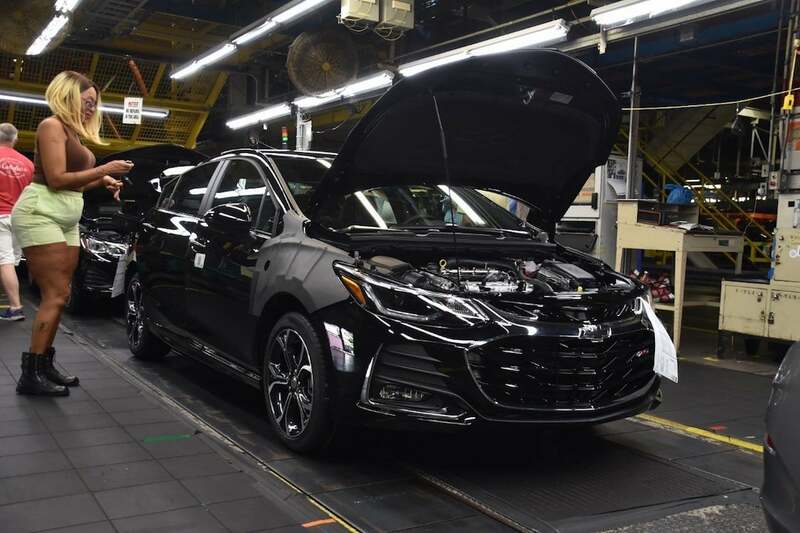 The Lordstown, Ohio plant that builds the Chevrolet Cruze will produce the last model today. The last Chevrolet Cruze is scheduled to roll off the assembly line in Lordstown, Ohio, today, moving the big General Motors assembly plant alongside the Ohio Turnpike in northeast Ohio, one step closer to abandonment and intensifying the confrontation between GM and the United Auto Workers. 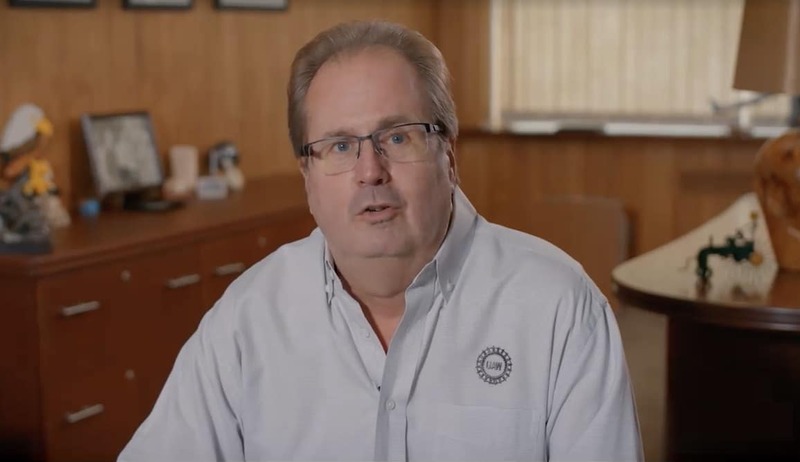 More than 1,400 blue-collar workers will be impacted by the end of production at Lordstown and GM has promised that it has jobs for all of them, while offering special packages to employees ready for retirement. 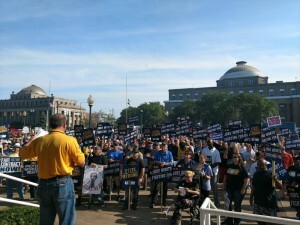 Union says there are 1,000 laid-off workers that should get the jobs. 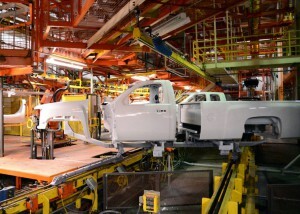 GM is being sued by the UAW for using temporary workers at the plant instead of laid-off employees. If there wasn’t tension between the UAW and General Motors due to the company’s restructuring plans to close five plants, the new lawsuit filed by the union over the use of temporary workers should ensure there is now. The United Auto Workers said on Thursday it was suing GM about labor contract violations due to the alleged use of temporary workers at an Indiana assembly plant. Executives promise response by Jan. 7. 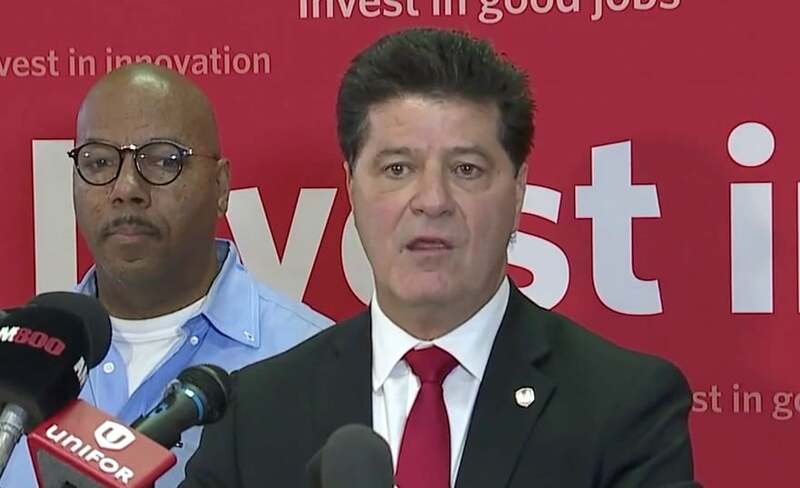 Unifor President Jerry Dias called his meeting with GM officials "frustrating," but also noted officials said they'd keep an "open mind" during negotiations. General Motors Co. is promising to respond by Jan. 7, to Unifor, the Canadian union that represents GM workers, which has laid out proposals that would maintain production at an assembly plant in Oshawa, Ontario, GM is preparing to shutter permanently. Unifor President Jerry Dias met with senior GM officials in Detroit Thursday to make the case that the Ontario plant should be kept open. 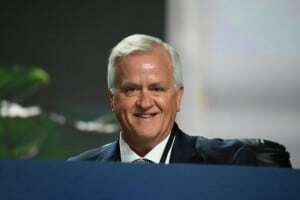 “The meeting today was frustrating,” said Dias at a press conference in Windsor on the Canadian side of the Detroit River. 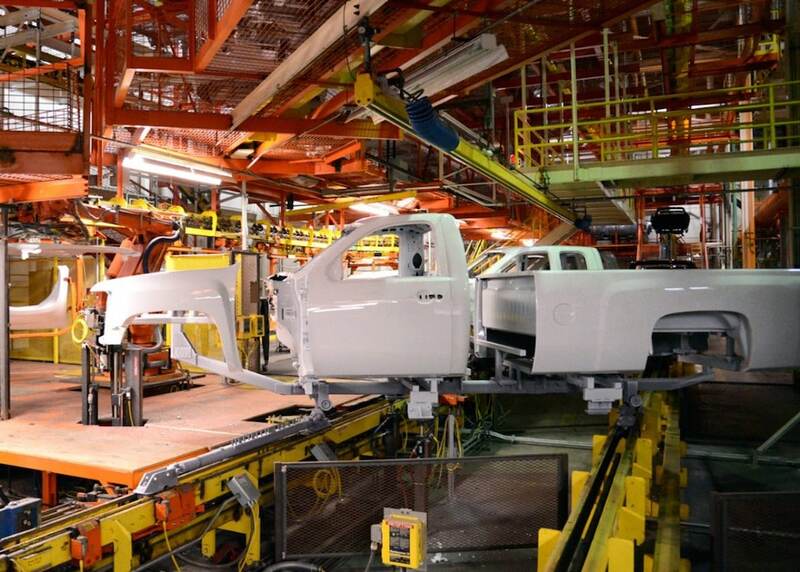 Automaker teams with city for non-union auto plant. 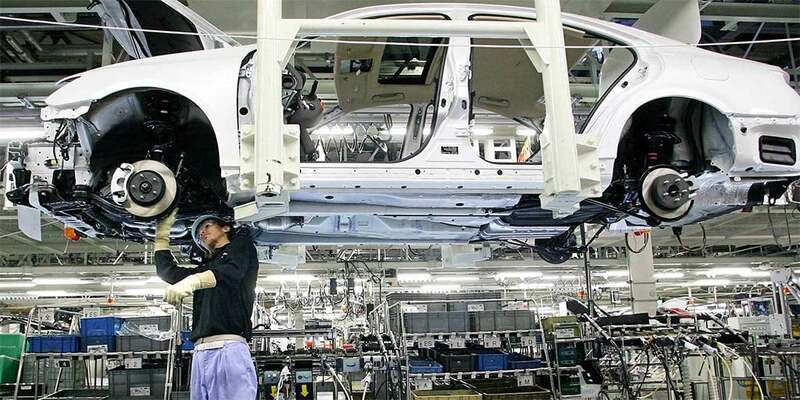 Hyundai workers in South Korea are planning to strike in protest of a new joint venture planned between the automaker and Gwangju to build a non-union plant. 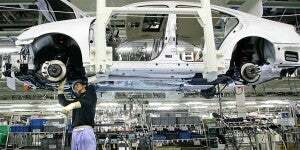 Union workers in Hyundai Motor’s plants in South Korea plant to walk off the assembly line in protest about a potential joint venture between the automaker and the city of Gwangju to build small vehicles using non-union labor. The plan, which is still in negotiations, calls for the two sides to jointly own a plant employing 1,000 workers to produce mini-SUVs. 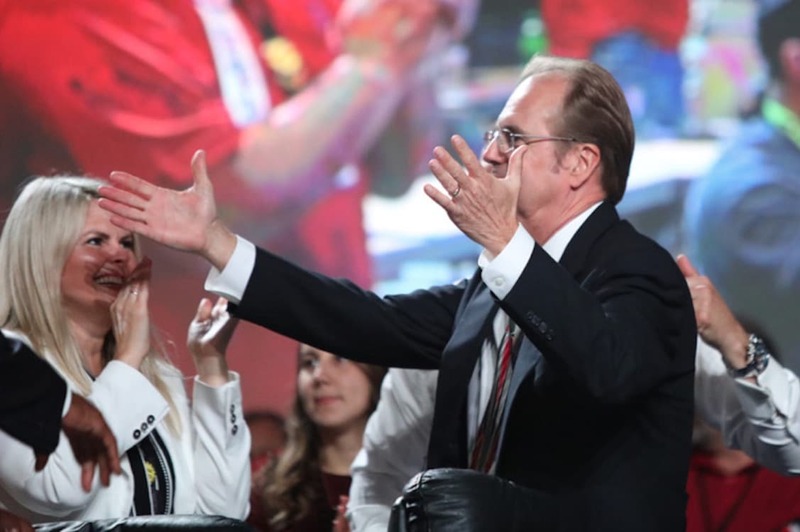 The employees would earn a little more than $31,000 annually, which is less than half of what unionized workers earn at existing auto plants. Despite "lavish" profits, company's pushing workers for cuts. 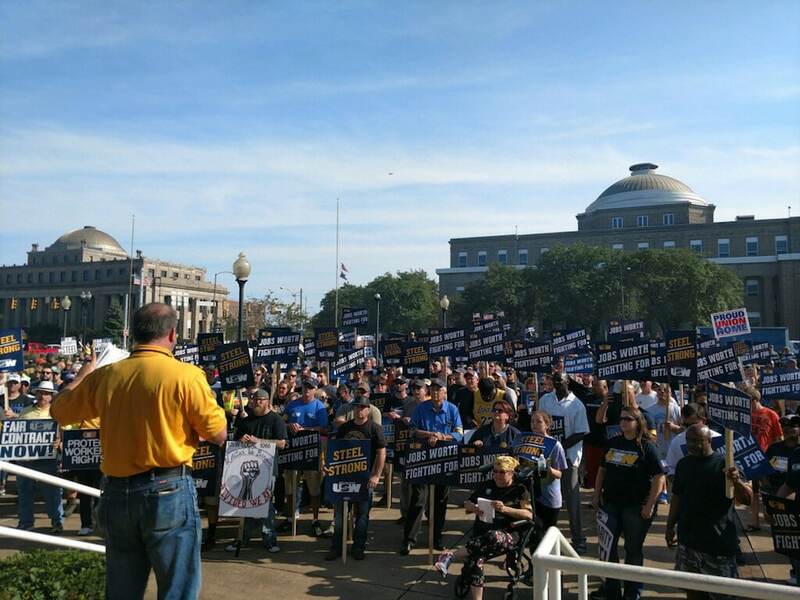 United Steel Workers union members rally in Indiana, looking to keep wages and benefits from being cut. A dispute over wages has left the United Steel Workers union at odds with two key makers of steel that control a large piece of the steel-making capacity in the United States. Both United States Steel and Arcelor Mittal have been major beneficiaries of the tariffs imposed by the Trump administration. “Steel is going phenomenally well,” Trump boasted during a press conference this week.